All answers are VOLUNTARY and kept strictly confidential per HIPPA regulations. Only one staff person will have access to this data. Your answers will help guide what information we provide during the challenge. Additionally, asking these health related questions may motivate you to improve your health. The various lifestyles we lead today often threaten our long-term health. 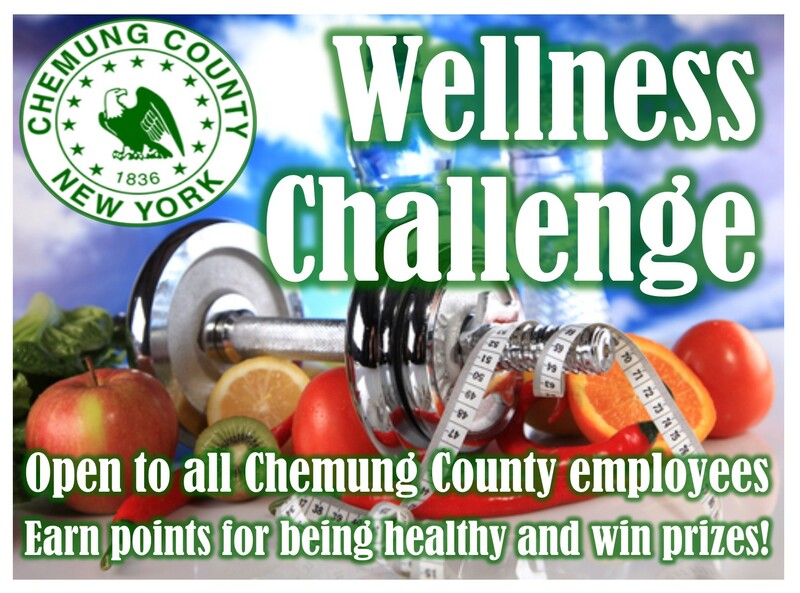 Habits and behaviors such as poor diet, smoking, lack of exercise, not wearing seat belts are among the common factors that can cause high risks of premature death or getting ill. Plus you'll earn 10 points! * 1. What's your name (so we can give you points)? * 2. What department are you in? * 3. In general, how would you rate your overall health? * 4. What is your height in total inches? For example, if you are 5 feet and 6 inches, write 66 or if 6 feet tall you would put 72. Please round to the nearest inch. * 5. What is your current weight in pounds? Please round to the nearest pound. * 6. Do you currently smoke cigarettes, or not? * 7. Does anyone in your household currently smoke cigarettes, or not? * 8. About how many alcoholic drinks do you have each week? * 9. How many hours do you sleep each night? * 10. About how many times in the average week do you engage in 30 minutes of light activity (i.e. leisurely walking, gardening, cleaning around the house)? * 11. About how many times in the average week do you engage in 30 minutes of moderate activity (i.e. brisk walking, light bicycling)? * 12. About how many times in the average week do you engage in 30 minutes of strenuous activity (i.e. running or jogging)? * 13. About how often do you eat fast food? * 14. About how often do you eat at a restaurant? * 15. Not including juices, how often do you eat fruit per day? If you don’t know for certain, please provide an estimate. * 16. How often do you eat a green leafy or lettuce salad, with or without other vegetables per week? If you don’t know for certain, please provide an estimate. * 17. How often do you eat vegetables per day? If you don’t know for certain, please provide an estimate. * 18. How often do you use sunscreen while out in the sun? * 19. How often do you wear a seatbelt when in a car? * 20. When is the last time that you saw a doctor? * 21. When is the last time that you saw a dentist? * 22. During the past 4 weeks, how bothered did you feel by emotional problems such as feeling anxious, depressed, irritable, or sad? * 23. During the past 4 weeks, how disruptive were your physical health or emotional problems to your normal social activities with family, friends, neighbors, or groups? * 24. During the past 4 weeks, how supported did you feel when you wanted or needed help from others? For example, if you felt lonely and wanted to talk to someone or got sick. * 25. Thank you! Click done below and you will be registered. If you would like more information on leading a healthier life please click here (opens in new window). Be sure to check your email Mondays for our weekly newsletter for tips and ways to earn more points. Let us know if you have any questions or comments below.